Your dad is the best. He works hard for your family, but he’s always there to give advice, fix what’s broken, coach your team and to annoy you with his patented “Dad jokes.” Dads are there for you every day, but there’s one day out of the year you can give him the thanks he deserves. Dad’s big day is coming and there’s no better way to show your love for your dad than an NYC Father’s Day Cruise! Skyline Cruises Annual Father’s Day brunch cruise will give your dad a chance to take it easy for an afternoon, fill up on fabulous food, and cruise past some of the most impressive sites in the world. Dad will love it because a Skyline cruise is perfect for any occasion. Whatever you may be celebrating, a birthday, anniversary, bar mitzvah, or bat mitzvah, or wedding, Skyline will work with you to make it memorable. We work with groups of all sizes and budgets. You can charter our 3-deck luxury yacht, the Skyline Princess for a large event, and we can also rent a single deck for a smaller event. We can even reserve a few tables or a few seats for you on one of our public dinner cruises. Whatever you need for your celebration, ask us, we’ll try to accommodate you. From black-tie sit-down dinners to intimate cocktail parties Skyline can help you plan your event and it costs much less than you think. 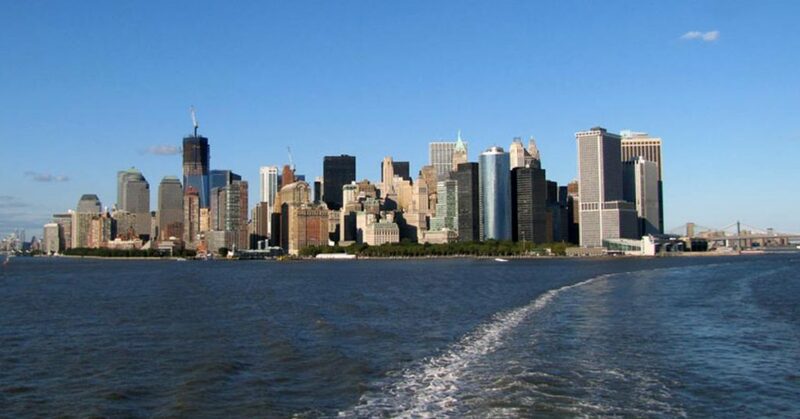 You’ll see one of the most impressive views of the spectacular Manhattan skyline that you can find, and that’s not all. You’ll also get a buffet dinner of hot and cold entrees prepared fresh in our galley by our in-house chef. We’ll have a bar which includes hot and cold drinks including alcoholic beverages, tea, water and club soda. We also have hors d’oeuvres, carving stations, pasta stations, a bistro table, and dessert. There will be live entertainment from a DJ. The third deck of the Skyline Princess has a 3rd deck dance floor to give dad a chance to show off his moves. The ship is equipped to cruise in all kinds of weather and leaves our home port at the World’s Fair Marina. The 3rd deck can be enclosed if the weather is rainy but if it’s a sunny day, the deck can be opened so you can celebrate under sunny skies. What could be better than spending Father’s Day on the water? With a Skyline Cruise, you’ll have everything you need to make the day memorable. Our Father’s Day brunch fills up fast, so contact us today!